Godfrey Design-Build is a team of kitchen, bath & home remodeling contractors serving the greater Beverly, MA area. We'll bring your vision to life! Design-build is a process geared toward getting the most value out of your remodeling project while having the best experience. Even the simplest home remodeling or construction project can take over your life. The amount of time and effort involved in researching, interviewing, and hiring electricians, plumbers, tile installers and other construction professionals is massive. Godfrey Design-Build has spent years assembling a team of like minded, reliable and skilled carpenters, trade partners, and contractors who take pride in their approach and results. Our design-build process is designed to take the hassle and stress out of home remodeling and construction. We manage your entire project, from initial design concepts all the way to completion. 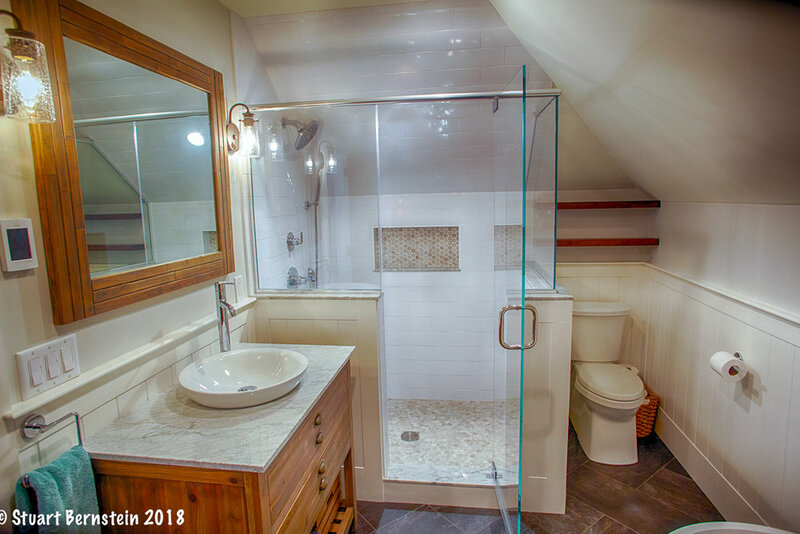 When you’re ready to invest your time with the best home, bathroom, or kitchen remodeling contractors in the Beverly MA area, contact Godfrey Design-Build! “I’m Pat Godfrey, an experienced construction professional and a Certified Remodeler. Bring your dream bathroom to life. Take a look at our bathroom portfolio. Our kitchen and bathroom remodeling team takes on construction and remodeling projects throughout the North Shore area, including Beverly, MA. Are you looking for well designed home remodeling in Beverly, MA?